In their book Practical Wisdom, Barry Schwartz and Kenneth Sharpe quoted retired Lieutenant Colonel Leonard Wong, who is a Research Professor of Military Strategy in the Strategic Studies Institute at the United States Army War College, focusing on the human and organizational dimensions of the military. According to Wong, too many rules and requirements “remove all discretion, resulting in reactive instead of proactive thought, compliance instead of creativity, and adherence instead of audacity.” Wong believed that it came down to a difference between cooks, those who are quite adept at carrying out a recipe, and chefs, those who can look at the ingredients available to them and create a meal. A successful military strategy is executed by officers who are trained to be chefs, not cooks. Because of this complexity, many organizations think the only way to run data governance’s kitchen is to institute a bureaucracy that dictates policies and demands compliance. In other words, data governance policies are recipes and employees are cooks. Although implementing data governance policies does occasionally require a cook-adept-at-carrying-out-a-recipe mindset, the long-term success of a data governance program is going to also require chefs since the dynamic challenges faced, and overcome daily, by business analysts, data stewards, technical architects, and others, exemplify today’s constantly changing business world, which can not be successfully governed by forcing employees to systematically apply rules or follow rigid procedures. Data governance requires chefs who are empowered with an understanding of the principles of the policies, and who are trusted to figure out how to best implement the policies in a particular business context by combining rules with the organizational ingredients available to them, and creating a flexible procedure that operates within the boundaries of the policy’s principles. But, of course, just like a military can not be staffed entirely by officers, and a kitchen can not be staffed entirely by chefs, in order to implement a data governance program successfully, an organization needs both cooks and chefs. Similar to how data governance is neither all-top-down nor all-bottom-up, it’s also neither all-cook nor all-chef. Only the unique corporate culture of your organization can determine how to best staff your data governance kitchen. Denial — Our organization is well-managed and highly profitable. We consistently meet, or exceed, our business goals. We obviously understand the importance of high-quality data. 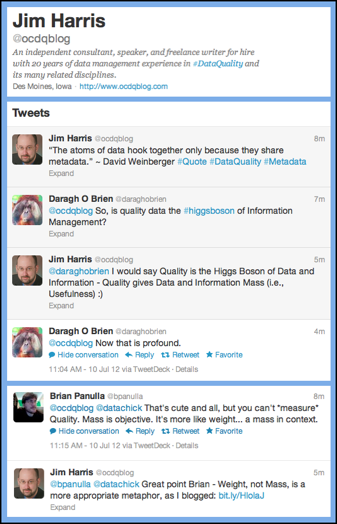 Data quality issues can’t possibly be happening to us. Anger — We’re now in the midst of a financial reporting scandal, and facing considerable fines in the wake of a regulatory compliance failure. How can this be happening to us? 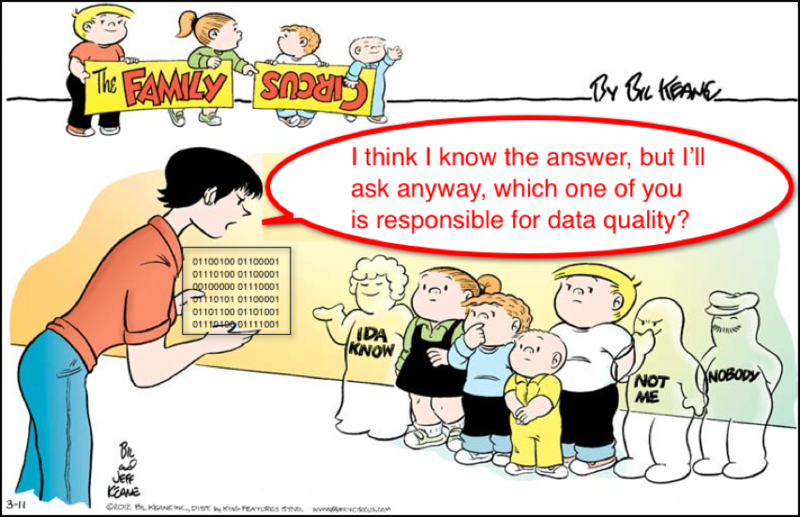 Why do we have data quality issues? Who is to blame for this? Bargaining — Okay, we may have just overreacted a little bit. We’ll purchase a data quality tool, approve a data cleansing project, implement defect prevention, and initiate data governance. That will fix all of our data quality issues — right? 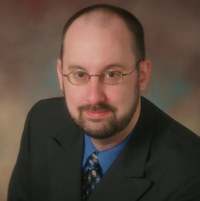 Depression — Why, oh why, do we keep having data quality issues? Why does this keep happening to us? Maybe we should just give up, accept our doomed fate, and not bother doing anything at all about data quality and data governance. Acceptance — We can’t fight the truth anymore. We accept that we have to do the hard daily work of continuously improving our data quality and continuously implementing our data governance principles, policies, and procedures.